Earlier this week we wrote about LinkedIn’s “Reference Search,” a feature available to premium subscribers that one user claims in a lawsuit was the reason she was rejected for a job. 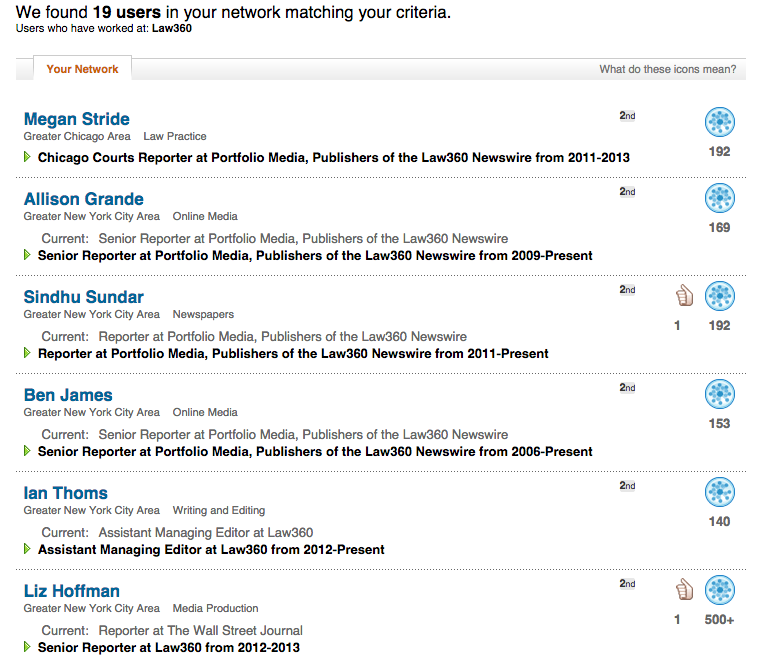 The feature works by giving hiring managers a list of people in their network that have worked with someone they are considering for a job opening. We decided to give it a spin to see how things might play out if a company decides to look you up on Reference Search during your job search. I ran a Reference Search on four members of the Business Insider Strategy team, who agreed to tell me how many of the people who came up in their first 30 results were actually qualified to speak about their job performance. 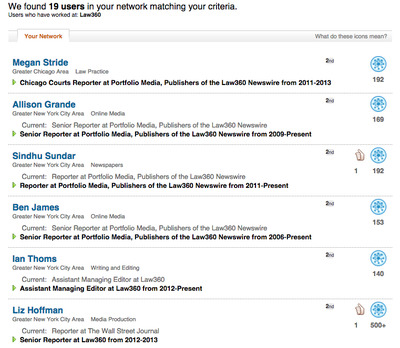 Two of the team members I searched had not previously worked at big companies, so they had fewer than 30 results. Overall, the product was fairly spotty, bringing up some useful references and some people my colleagues had never met before. In total, 10 of the 78 results that came up were people who could have given me an accurate depiction of what it’s like to work with my colleagues. There’s only one person on this list I would be able to pick out of a lineup, and there’s nobody I’ve worked with directly. Of the 19 total people who came up in Drake’s search, only one would have any idea of what I’m like to work with, and none of them were people I would willingly submit as a reference on a job search. In short, there’s a decent chance an employer using Reference Search could wind up reaching out to someone you didn’t select yourself, and it’s quite possible they could be sifting through a bunch of people who barely even know you. Whether this winds up hurting you will depend on the impression you left your old coworkers.